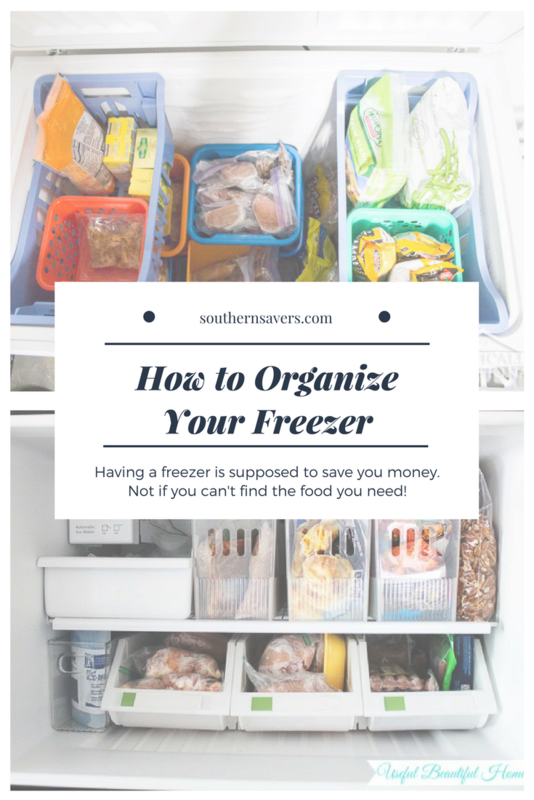 Having an extra freezer is a way to save money. You can stock-up when things are on sale and avoid ever having to pay full price. Once you start to get stocked though, finding something in your freezer can be a little overwhelming. In an effort to not waste food, you have to be organized. No matter how great of a sale it was, if you end up throwing it away, you’re wasting money. 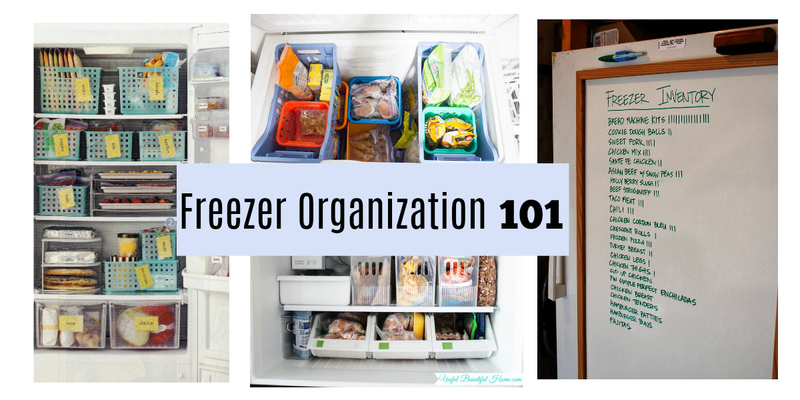 Here are some tips for organizing your chest freezer. 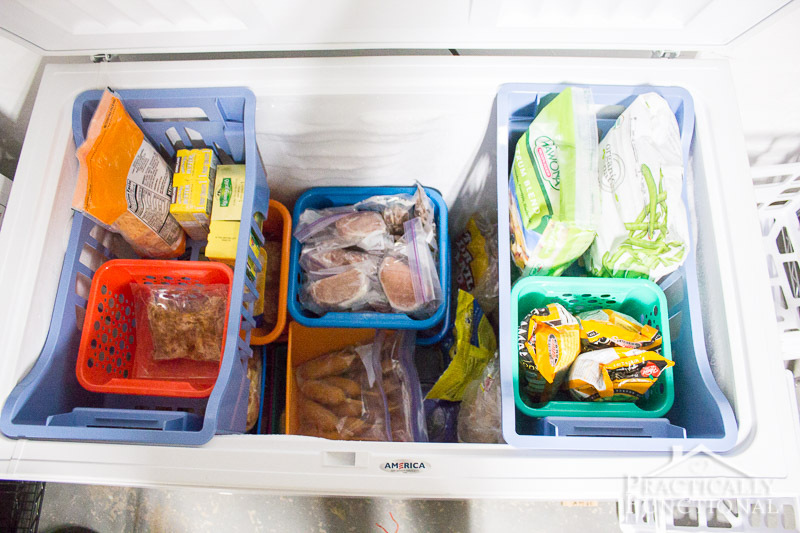 If your freezer is a little crazy, you probably have some expired food in there. The first step is to go through it and get rid of anything that is no longer edible. You can also make a pile of things you know your family realistically will not eat. There is no need to throw those things away, but you can definitely give them to someone who will eat them. You can be as detailed as you like here. You can sort by meat, produce, frozen entrees, etc. Or you can get specific and sort by chicken, beef, fruit, vegetables, etc. Do whatever makes you happy and will work for you. If you really want to go crazy you can sort by whole chickens, breast, legs & thighs, etc. Word of caution: If you know you aren’t going to come home and put all of the chicken in the right bin, just have a bin for all chicken. It may take a minute longer to find exactly what you want, but it’s better than just throwing everything in the freezer because you don’t have time to deal with it. Be realistic with what you’re willing to commit to. Now that all of your food is separated into manageable groups, it’s time to take inventory. That chest freezer is deep and I’ll never be able to remember that I have 2 cheese, 3 pepperoni, and one deluxe pizza. 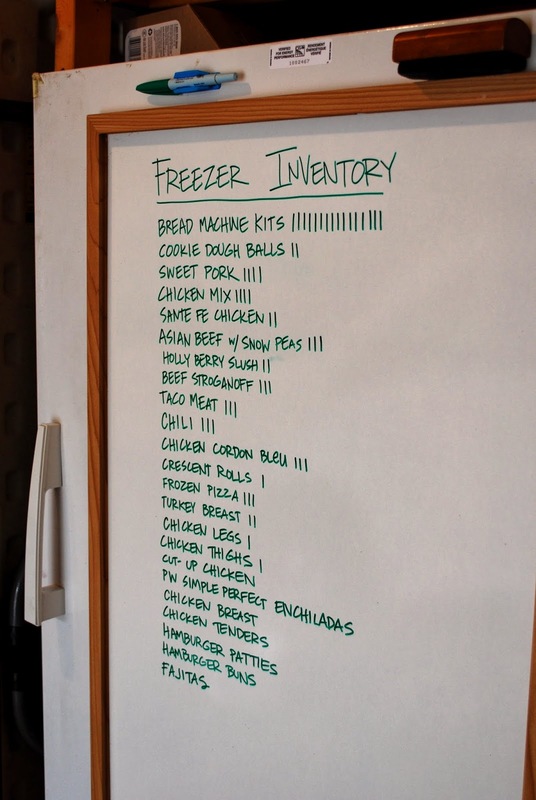 To keep it easy, here is a FREE printable freezer inventory sheet. You can print it, laminate it, and fill it out. Don’t have a laminator? Stick it in a sheet protector. The same principle as your groups applies here. If you don’t care what type of pizza it is, just have a line for pizza. If you know your five year old will produce massive amounts of tears at the sight of pepperoni, you might want to give cheese pizza it’s own line. For me, simple is better. Another option: write on the front of the freezer what is inside of it with a dry erase marker… just be care to not brush it off when you are looking for something inside. You can also get chalkboard paper and stick it to the top. I have found chalk markers work best for writing on this though and they are on the pricey side. Ever played Tetris? Now is your time to start. Please don’t feel like you have to run out to the Dollar Tree and buy every container they have. Shop your house first to look for things you can use. Fill reusable bags with things that could easily get lost. This works especially great for meat and produce. If you have an item (like bread), it can helpful to store it in a container with more structure. Containers can lead to wasted space though, so use them sparingly. Cardboard boxes also work well for this. Most chest freezers come with at least one basket. 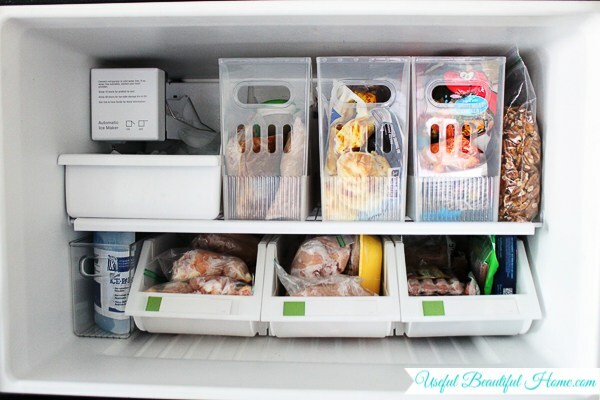 This is a great place to store items you eat more frequently. Want more of these baskets? Be sure to check thrift stores. I have found it works great to store meat in reusable bags on bottom with baskets on top for produce, dairy, and frozen entrees.